Conceptual image for interaction between viruses and host-cell DNA (deoxyribonucleic acid). Integration of viruses into DNA is the key step in oncogenesis. 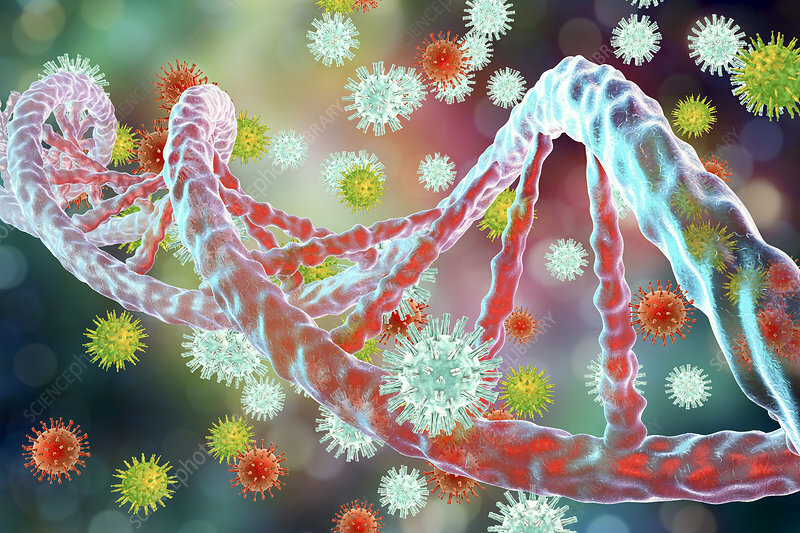 Several viruses, such as hepatitis B virus, papillomavirus and other, can integrate into host DNA as insertional mutagens causing the activation of a cellular proto-oncogene which eventually leads to uncontrolled cell multiplication and cancer development.